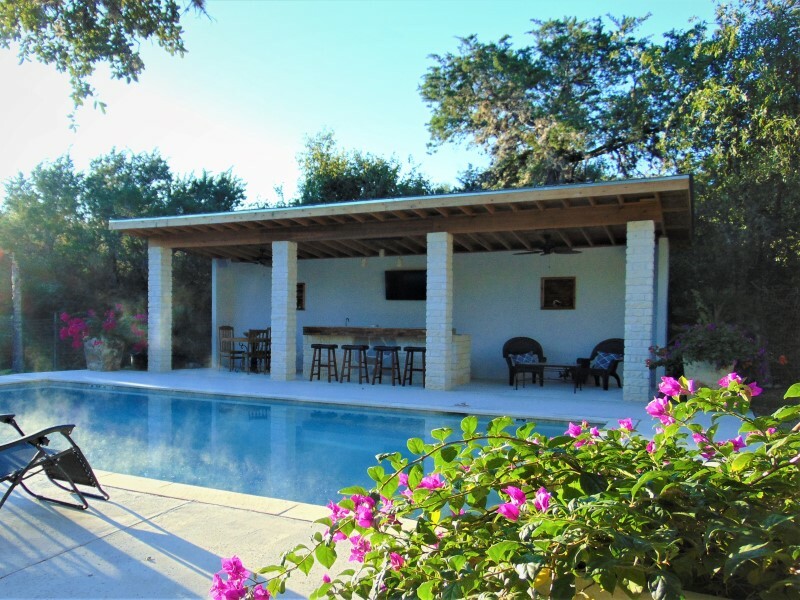 Agave Point - a Historic, Gated Family Compound - Walk to Frio River! Set in a privileged position, Agave Point offers a perfect destination for creating a once in a life time family vacation that will leave everyone with lasting memories. This timeless beauty will fill your heart with nostalgia, gratitude and a sense of sheer delight. This is where you'll want to return year after year. This is a stunningly sensational private estate! There are a total of 4 bedrooms and 3 1/2 baths in 4 separate historic cottages spread out over the estate. They are all very close, but each has privacy. Idyllic and picturesque, Agave Point is located along popular River Road in the heart of Concan and the estate is within minutes of everything you need or want to do. 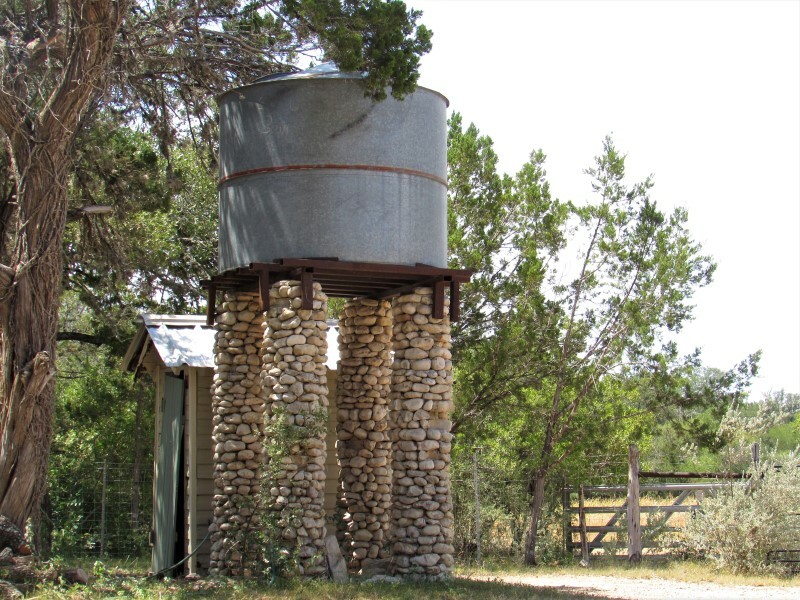 Only a 4 minute walk to the Frio River along a private dirt road that leads directly to the Frio River. Really nothing more than just a quiet country lane and safe for kids to walk along. The sheer size of the estate is makes for ultimate privacy, with several hundred year old oak trees and is not overlooked. There is 8' tall privacy fencing around the back of this historic retreat and it's surrounded by lush, tropical landscaping. The crown jewel is the long, wide & deep turquoise swimming pool. Next to the pool is an exceptionally beautiful, white rock, poolside Cabana that makes Agave Point THE property for extraordinary outdoor dining and entertaining! 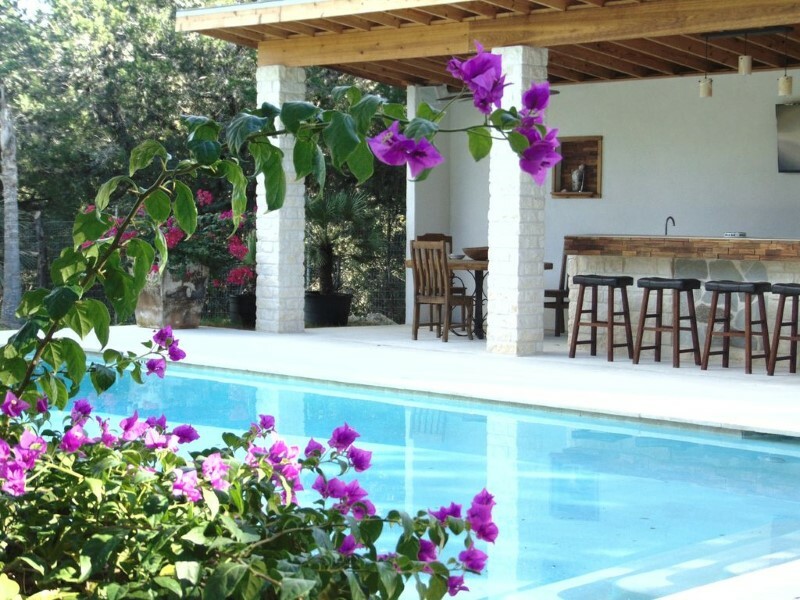 Start your day watching the sun rise over the distant mountain tops above the pool, while listening to birds sing and butterflies floating from one bright colored bougainvillea to the next, stopping only to drink from the crystal clear pool. A 45' long and 30' high, this custom built poolside Cabana has white rock pillars, white stucco walls and massive wooden beam. The Cabana runs the entire length of the pool. 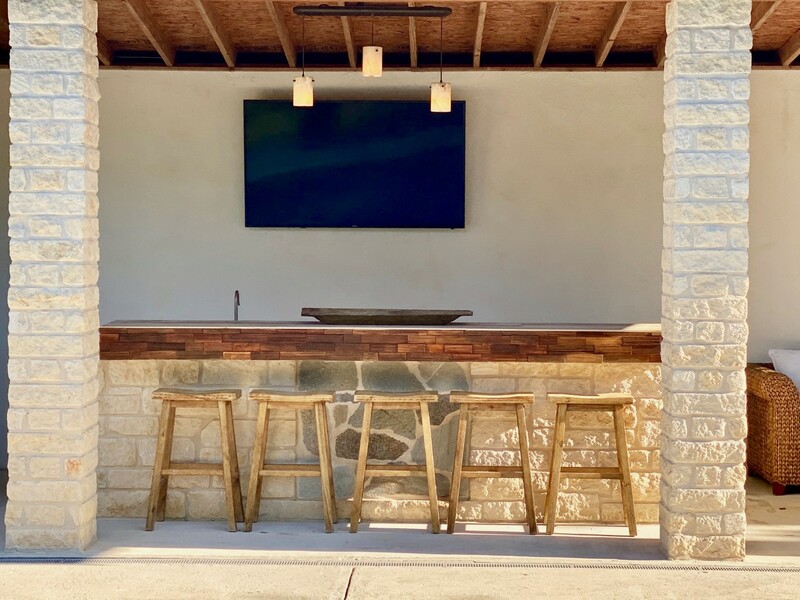 In the long bar is a sink, stainless fridge, blender and outdoor sound system to enjoy the flatscreen smart tv for dive-in movies or watch your favorite baseball team on the big screen. 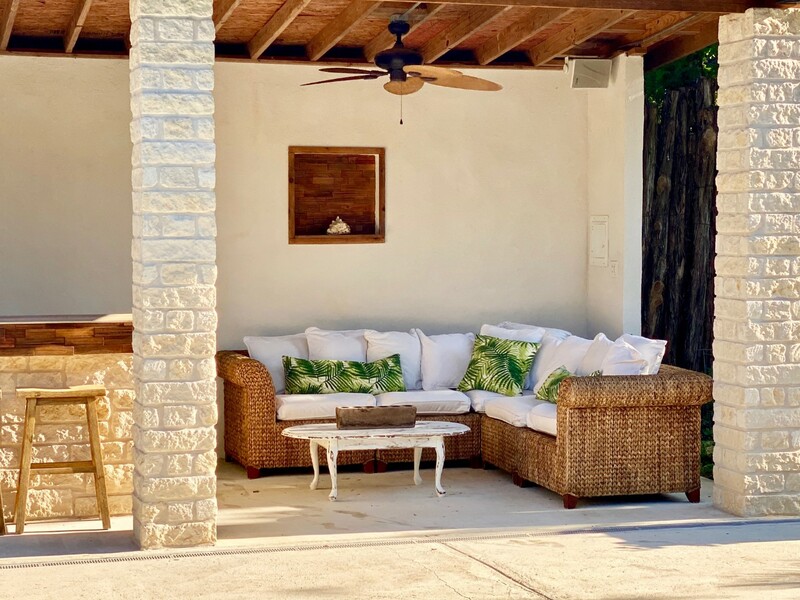 On the left side of the cabana is a custom round wooden table & chairs thats perfect for al fresco dining, while the right side has a white Tahitian cotton wicker sectional sofa for elegant poolside relaxing. 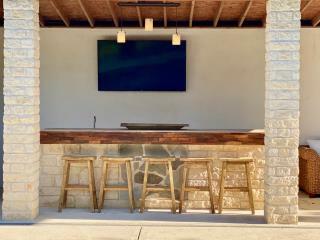 The custom rock bar features bar stools to watch the bartender make margarita's, light a cigar or poolside parties! Both the cabana & pool light up for night time swimming, which makes for serious ambiance. The historic houses' foundation and exterior walls were made from rocks pulled from the Frio River! 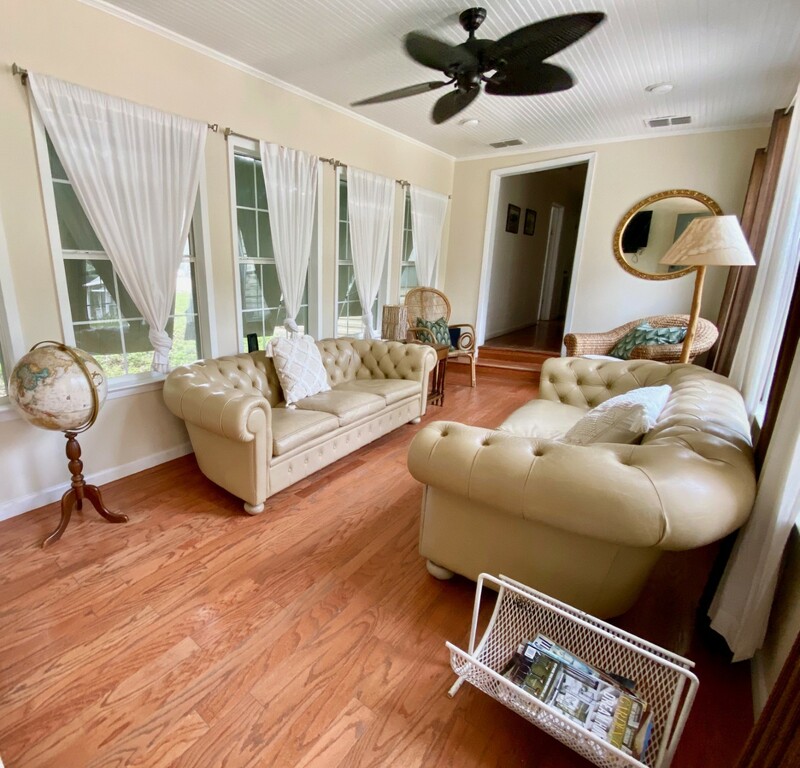 Original hardwood floors throughout, the plantation shutters in the dining room and sunroom allow morning sunlight in, while providing shade & privacy during the evenings. Cream walls, tile and white bead board ceilings make this a sun filled oasis for relaxation. 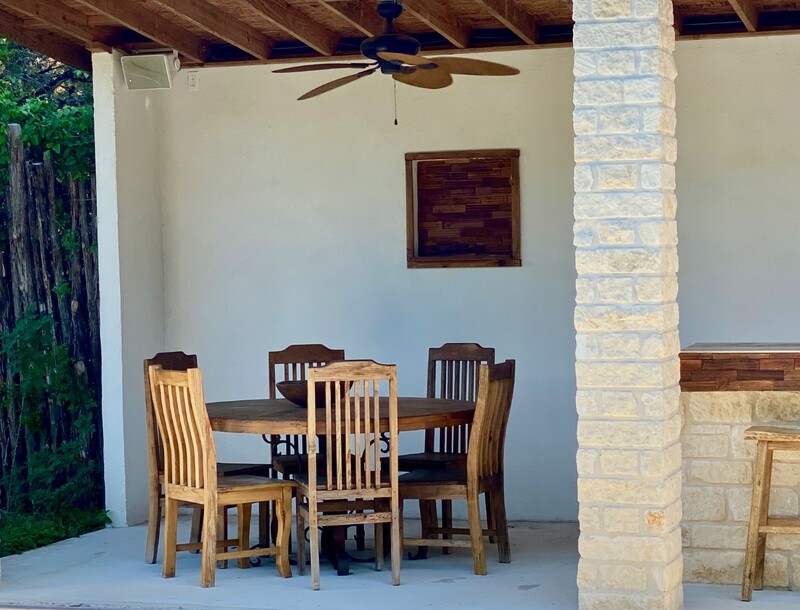 Inside the large dining room you have tile floors, white bead board ceiling and two large matching tables, with benches & chairs that seat 18 comfortably. There's also a flat screen tv to entertain the chef while cooking. The kitchen has 14' vaulted ceilings, tile floor, furniture cabinetry, stainless refrigerator, stainless gas stove & oven and open shelving. 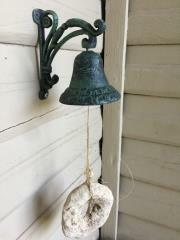 Be sure to notice the original 4 foot thick stone & plaster walls. The large master bedroom has a four poster king size bed, original wood floors, white bead board ceiling and 4 double hung windows that gives this handsome bedroom plenty of light. There are two custom twin bunk beds, each with there own cubby holes for storage. The large room is the perfect size for comfort and relaxation, with upscale bedding & furnishings. There is a very large, spacious bathroom, with wood floors, white bead board ceiling, tile shower and pedestal sink. There's a pretty Mexican armoire, white bench and wicker baskets that provide additional storage. 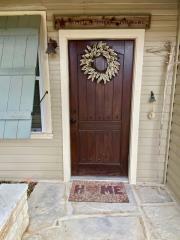 Next to the exterior entrance is a mud room with original pantry, bench seating and lots of bathing suit hooks. 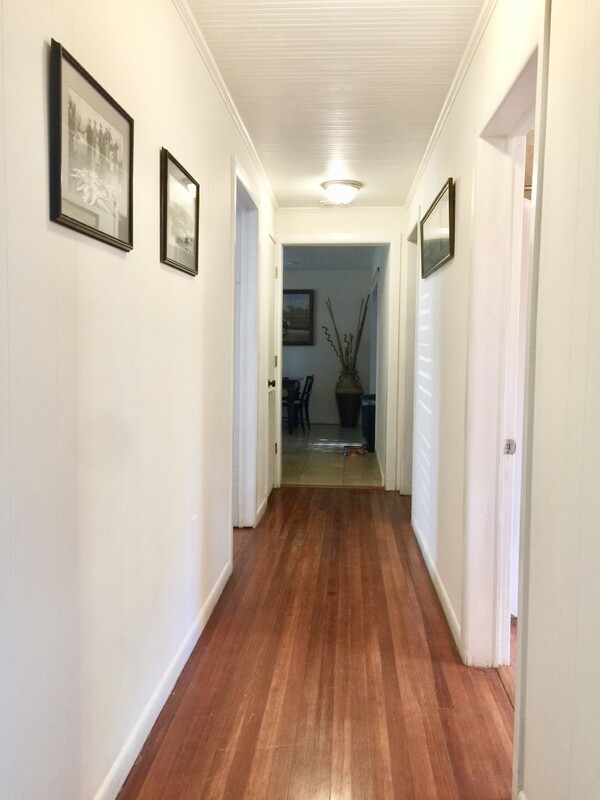 A utility room has a stainless, front loading washer & dryer with half bath toilet & sink. 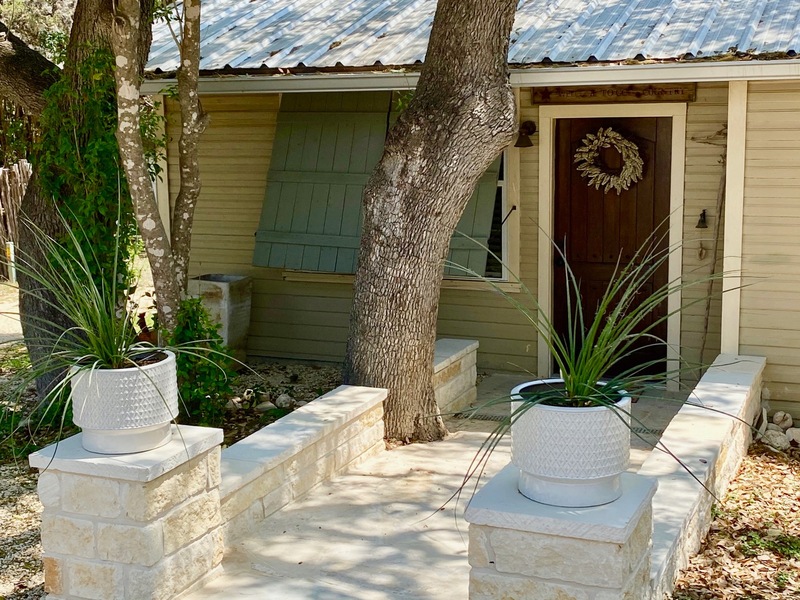 The cottage foundation was built using rock from the Frio River, while the wide front porch is oh-so-comfortable and adds superb indoor/outdoor space for this romantic cocoon. 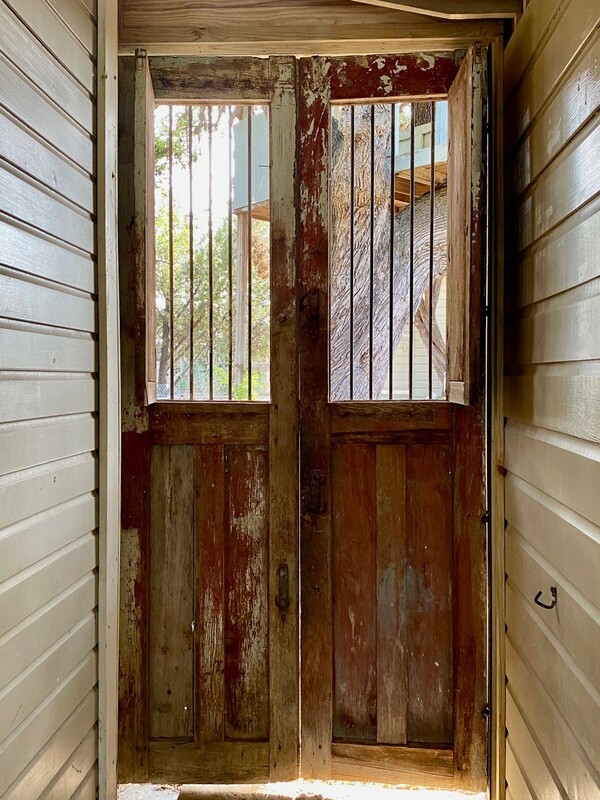 Inside the Cabin you'll find a floor-to-ceiling white rock fireplace, wood floors, 14' vaulted ceilings, rows of white beams and white washed walls. 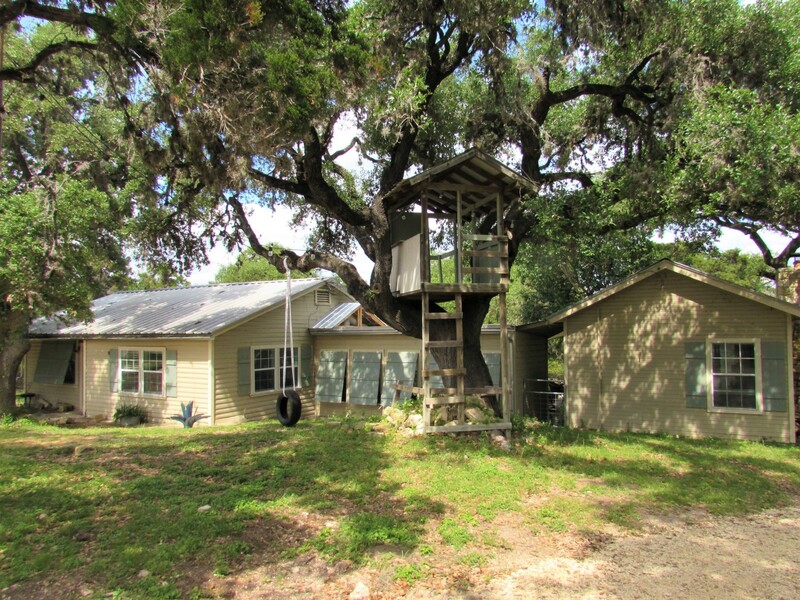 There is a large, walk-in, river rock shower with a 14' tall open vaulted ceiling. Outside the shower you'll find plenty of swimsuit & towel hooks as well. In the center of a wall of windows sits a Four poster King sized plantation bed and there's an additional whitewashed twin bed tucked into an alcove. The sublime lighting, upscale antique furnishings and original artwork makes this room majestic, yet cozy and inviting. 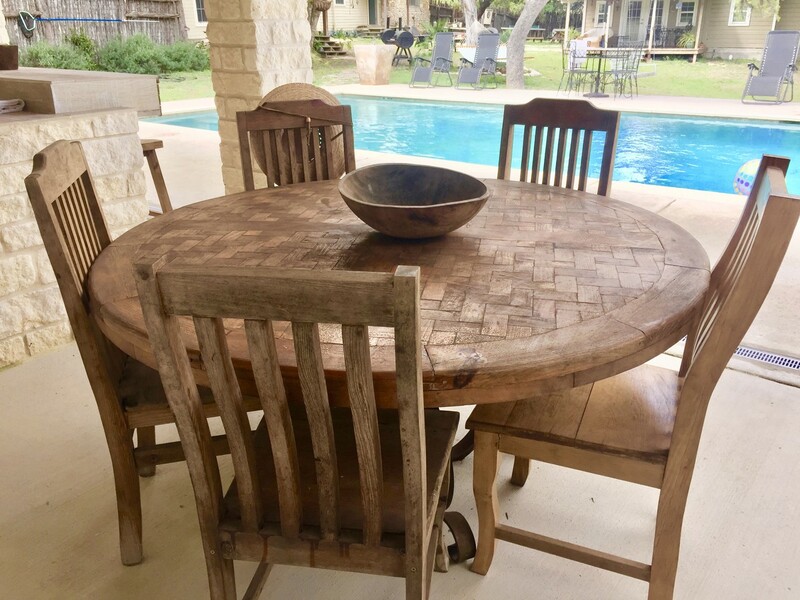 The furniture is stately from the antique French armoire, rustic Texas wardrobe and Italian dresser. Everywhere is bright, white and cream. Maximum sunlight pours in from a wall of windows over looking the pool and there are distant mountain top views. The historic barn was converted into a stunning, separate retreat. There's a professional, commercial grade kitchen, with wood floors, 14' vaulted ceilings and two sets of French doors. 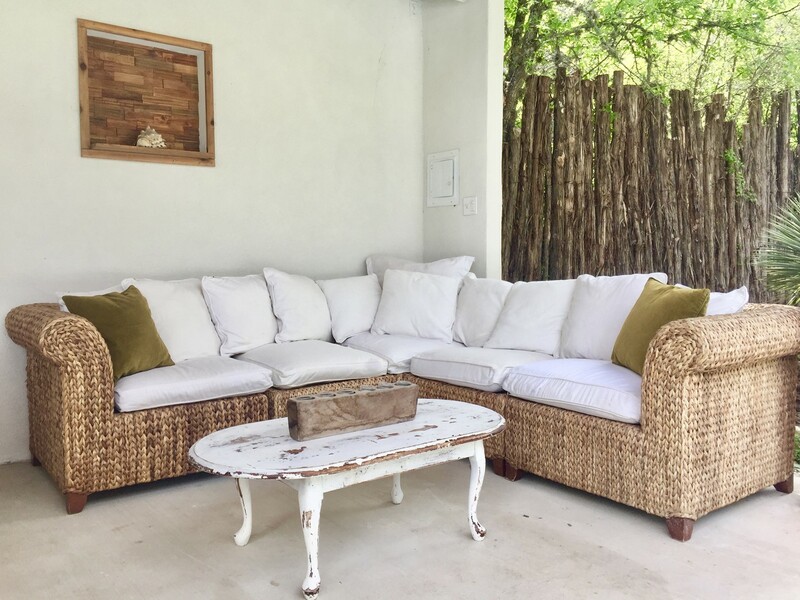 Outside one set is a covered outdoor porch with overstuffed white linen wicker chair & ottoman, plus a dining table & chairs overlooking the lush backyard, cabana & pool. There's also another outdoor sound system. 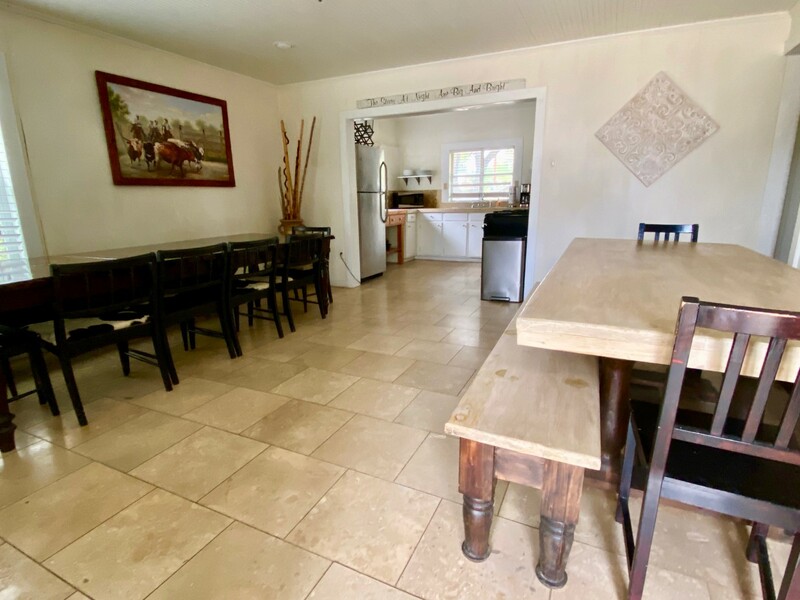 Inside is a flat screen tv to entertain the chef, stainless steel appliances, gas range, (3) ovens and a super huge center island with bar stools to watch the preparation of the food. This kitchen is best for making LARGE scale family meals. The kitchen flows well, with room for several chefs & is amply equipped with everything needed to cook fantastic family meals. There's also a bedroom that overlooks the deer & goats in the back field that offers complete privacy. 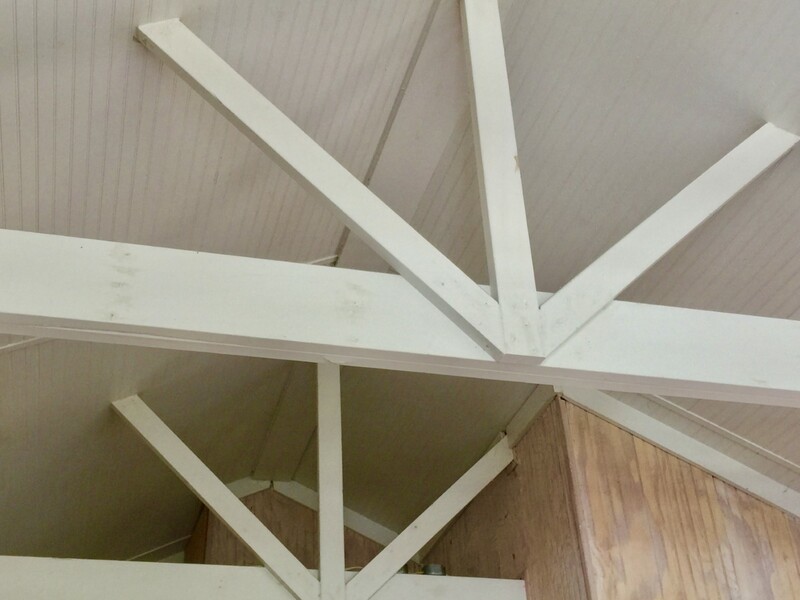 There are two sets of twin bunk beds, wood floors & 14' vaulted ceilings. The barns pretty bathroom has wooden floors, 14' vaulted ceiling and a large, custom river rock shower that looks out over the pool and is simply charming. 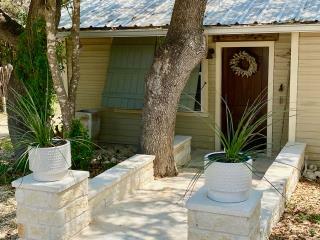 The Bunkhouse is a fun, cool retreat overlooking the back field and pool. 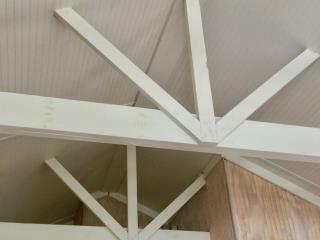 Rustic cedar walls, 3 sets of sturdy wooden twin bunk beds, wood floors, 14' vaulted ceiling and french doors. There is also a flat screen tv and comfortable bean bag chair. License plates, deer horns and Texas nostalgia cover the walls for an easy going appeal. 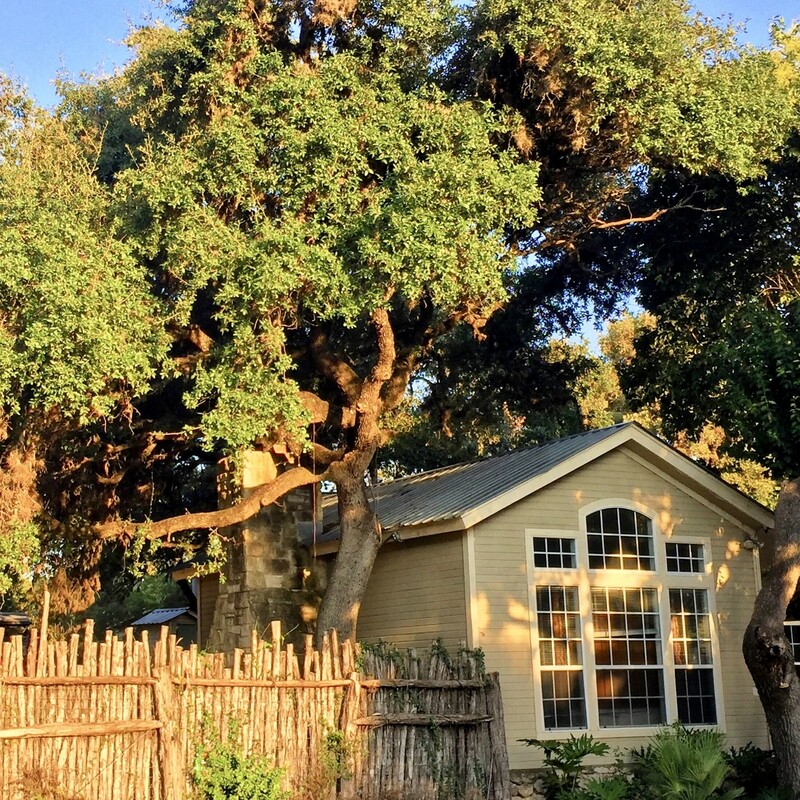 Treehouse, tire swing and tetherball for little ones, while outdoor party lights are hung in the majestic oak trees and spread out all over the estate for everyone. Solar lighting is set around the pool for night time ambiance and the Cabana has drop lights on a dimmer. The huge grassy backyard is completely private, with an 8' high fence & is double gated. A tropical oasis of various palms surround the inviting hammock and take time to seat on either of the two wooden bench swings under massive oak trees. Last is a ping pong table, horseshoe pit, dart board, 2 smokers and fire pit. The estate is double gated, with a large circular driveway to hold all your trucks, trailers, tubes and whatever else you might bring. 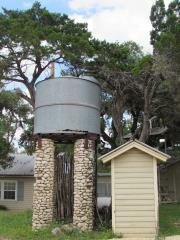 The historic river rock water tower is still in use. 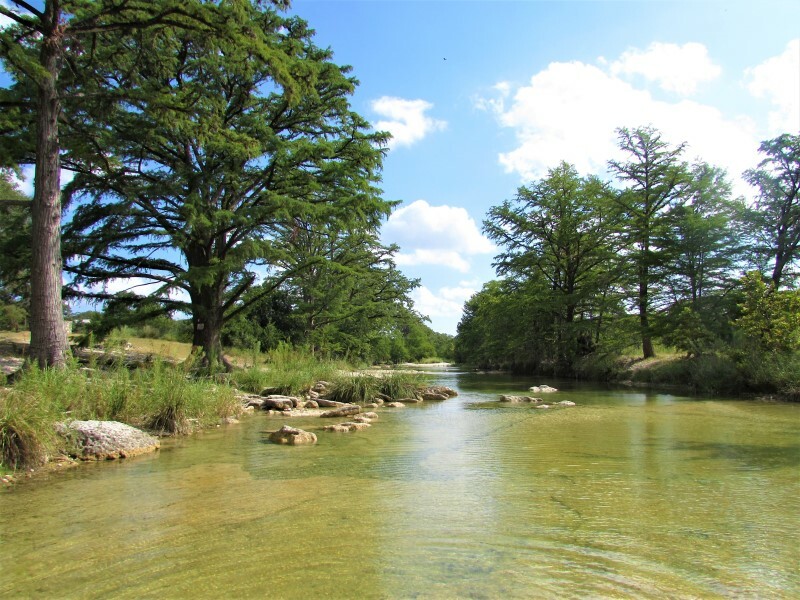 Take a nice stroll down the kid-safe, country lane to the Frio River near the "big rock" for an fun adventure. We offer our guests linens and towels for an additional fee, please order 14 days prior to arrival. The property is well stocked with dish soap, laundry soap and dish towels. We provide initial paper towels and toilet paper, but please bring extra. This home can also be rented with Agua Bonita for a total of 33 guests. 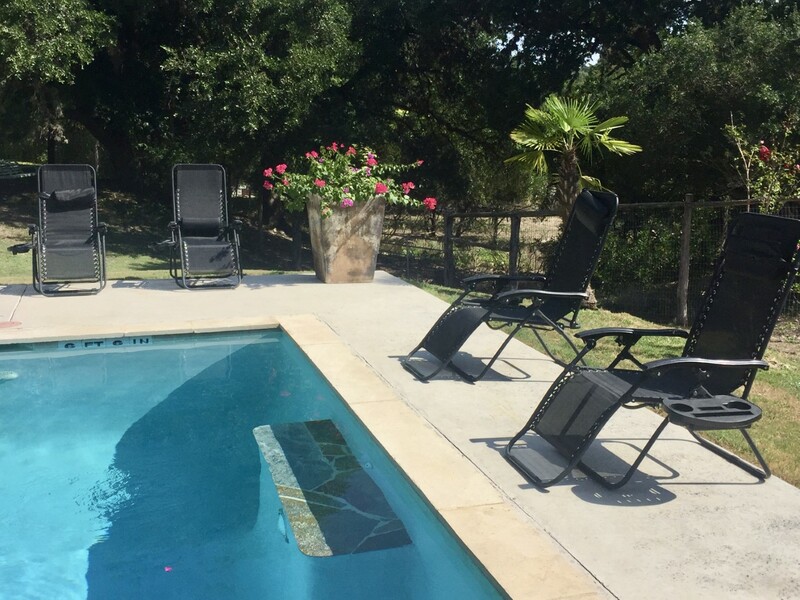 Agave Point Estate, has multiple zero gravity lounge chairs poolside, and there are comfortable lounge chairs surrounding the fire pit for star gazing. Soft amber outdoor lighting makes for not-so-scary fireside story telling. Agave Point's superb River Road location, coupled with acreage makes for a superb setting. The mature, lush tropical landscaping makes this hidden jewel your very own private oasis. A true classic river house, this one-of-a-kind historic estate is for those seeking an extra ordinary vacation. This is the property everyone wants, but few find. It doesn't get any better than this! Dining room sits 17 and there are 2 picnic tables outside, 2 porches with seating and tables, as well as a table and chairs in the pool cabana. 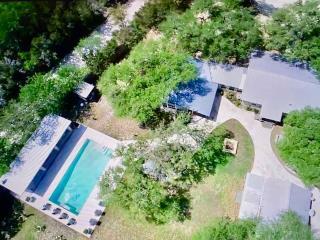 Historic, private estate located along River Road and Frio River. The 4 river rock cottages are charming and the grounds are spectacular! "We had our sons and the kids he grew up with and their parents high school graduation celebration at Agave Point! This place is perfect for a large gathering and we loved having 2 kitchens! The pool,goats,birds and night sky was magical. 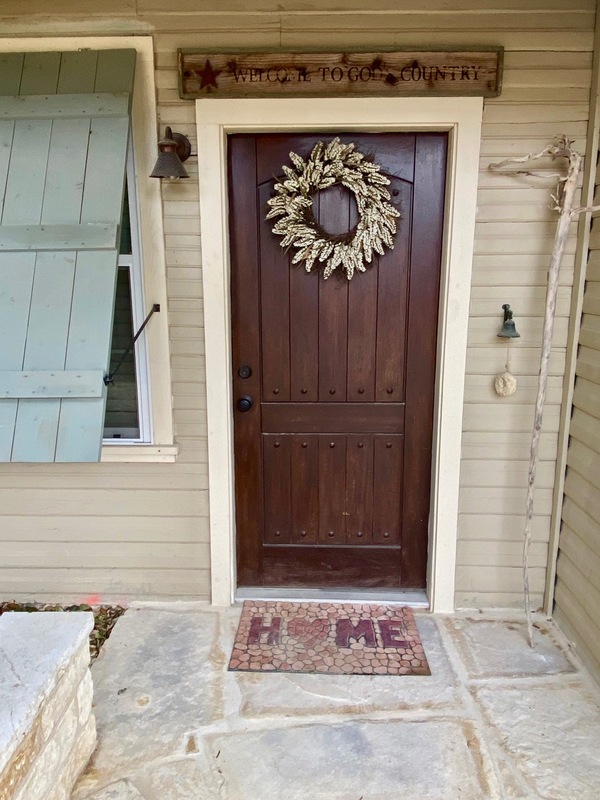 With just a short walk to the Frio River it makes it a great location. The owner and her office staff (Stella) was just a phone call away. Great people, we will be back." Michele A. "Beautiful. Great outdoor area!!" Jill S.
"Great place that allows large families like ours or multiple families to spread out and have room to have fun. BBQ pits, pool, cabana, outdoor tv, outdoor games, etc. will surely stay again!" Brandy P.
"Wonderful, wonderful place for our family to gather! The pool and cabana are awesome!! Will definitely book again." 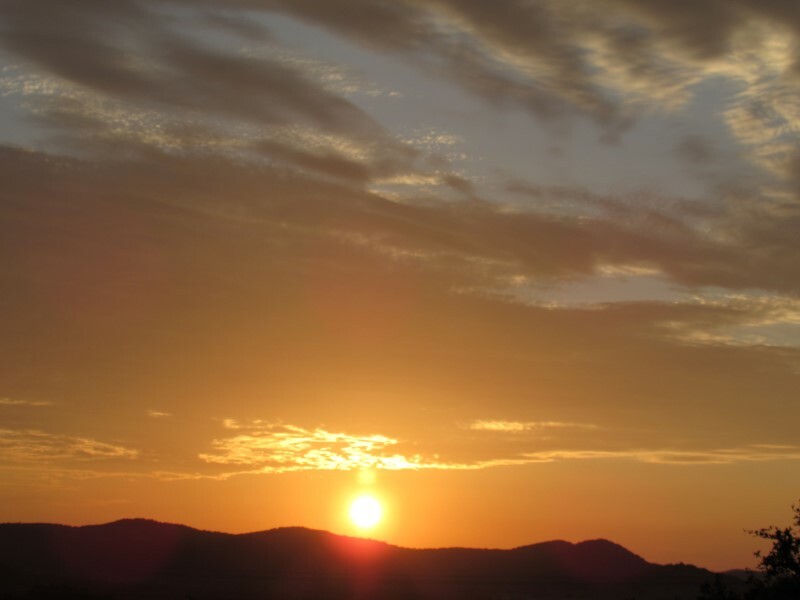 Vicki N.
"We planned a 3 night stay with a family group of 13. I’ll just put our one complaint out there first and then move on. There were plenty of bunks but only 2 big beds. 4 of the bunks were located in a small building that just would not get cool, so the kids slept in our room. No big deal but 1 extra Queen would have been very useful. Now on to the good stuff. The location can’t be beat. It’s a moderate walk down to get in the river. It’s a very short drive to get to the main tubing spot. Another short drive to the store. Everything is right there for you. We absolutely loved the pool area and spent the vast majority of our time right there. The pool was clean with some pool toys and floats provided. The cabana was the gathering spot for everything we did. This was the grandest feature of the place. There is a large bar area which holds a lot of food trays and will seat 5-6. On one side of the bar under the cabana is a circle dining table that we easily sat 6 more at for every meal. 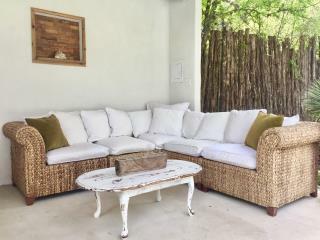 On the other side is a sectional couch with a large coffee table which several opted to eat at. There was no problem finding a place to sit down and eat. I cooked every meal while there and we used the cabana for every one. It was amazing. The cabins are each VERY well outfitted. Comfortable beds, nice tables, high quality counters and appliances. The centralized cabin was our staging ground for all meals. A VERY large island with stainless countertops and 3 ovens made food prep and cooking a breeze. They have a plethora of knives, kitchen gadgets, bowls, plates, pans, silverware and anything else you might need to prepare and cook meals with. There is a large fire pit that can seat an entire group around. There was a burn ban while we were there so we didn’t get to use it, but it would be a great spot any other time. As mentioned earlier, we spent most of our time at the pool. This is not a small pool that can only fit 4-5 people at a time. We had 10 people in at one time playing around without feeling the least bit crowded. There is a nice sized TV in the cabana which we watched the Rangers game on each night and enjoyed a movie on the last night, all while laying around in the pool. We would definitely recommend this place for anyone wanting a getaway and not worry about having to go to the river to get wet." Vicki N.